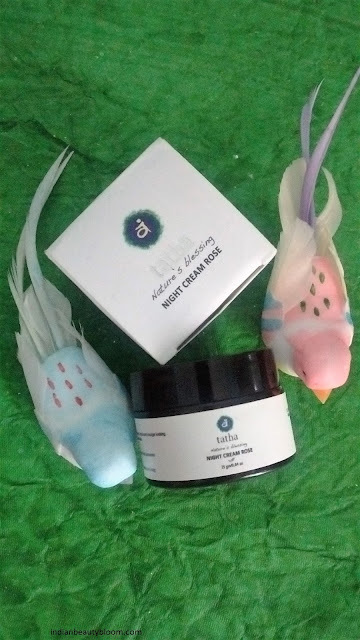 Today i am going to review a product from brand Tatha of Vedic Collection. 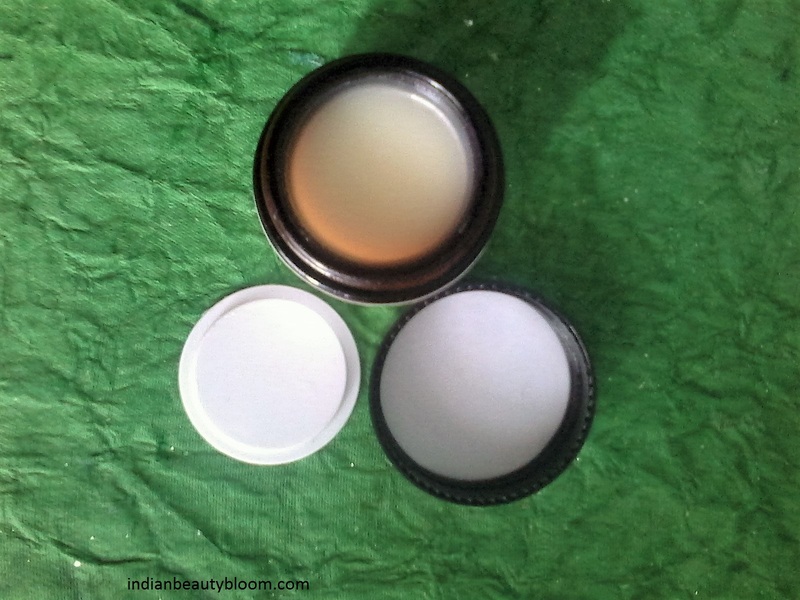 Vedic Collection is a brand which prepares herbal skin care and hair care products . They also have natural and aromatherapy products in their range . They also have herbal clothing which is called Vastarm . 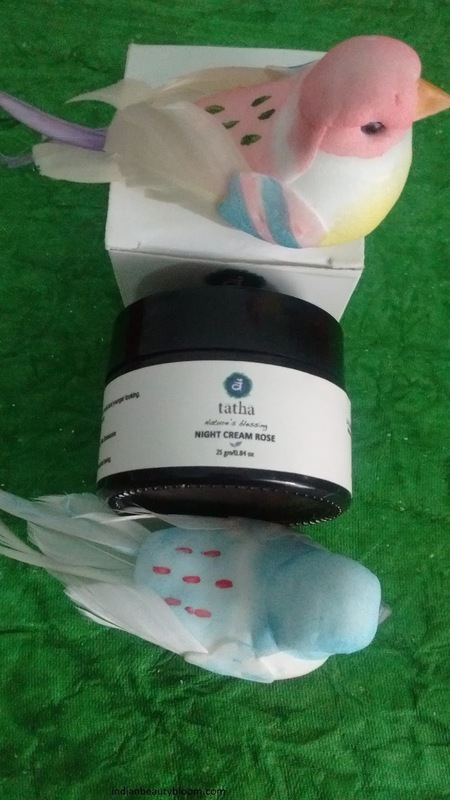 Tatha’s Nature’s Blessing Night Cream Rose, a Night cream made from rose extract and essential oils . The product has a tub packaging . Its in a glass tub . Its white colored thick cream with a nice floral fragrance and its bit oily in texture . It helps to balance and regenerate the skin , reduces wrinkles and makes the skin look young . Its excellent for Dry and Wrinkled skin . My skin type is normal to oily and not at all dry , so i was in doubt whether or not try this product. Buy finally thought of giving it a try . I am using it past ten days and i am happy with it . First time when i applied this on my face it seemed too oily and i had to massage it quite well to get it absorbed in my skin . From the next time i took just a little amount of it and that was sufficient to moisturize the entire face . I feared it might cause acnes or pimples as it seemed bit oily , but in morning my skin looked normal ,there was no trace of oil on my face , the cream was completely absorbed . It did not caused any acne break out on my skin . And after using it for ten days i can say its good and makes skin soft and nourished . It moisturizes the skin and keeps it hydrated for a long period of time . Good for dry skin and good for winters . 1.A herbal product with all natural ingredients . 2.Free from harsh chemicals , parabens , preservatives , color etc. 5.Not tested on animals , a Cruelty Free Brand . 6.Product from an ISO certified Company . 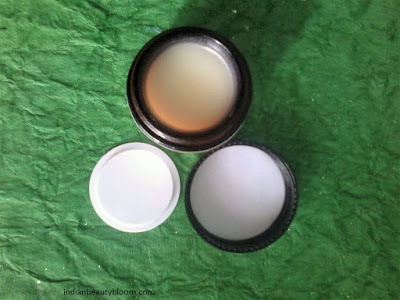 7.One needs just a little amount of it to moisturize the skin , so economical .